Ah, Valentine's Day — like birthdays, or even Christmas, the process of figuring out what to give the people you love can be a real struggle. Whether your partner hates chocolates or you have no idea why anyone would want a stuffed animal to begin with (children under the age of nine are exempt), it can be difficult to figure out the right gift to give. Luckily, there's a surefire way to please just about everyone: give the gift of some fresh flowers, and make the whole crowd happy. Check out this Teleflora Valentine's Day Special, which sends beautiful, hand-arranged bouquets to the people you love. Instead of wandering the mall aimlessly looking for a subpar gift, then worrying about those presents getting to their final destinations on time, Teleflora is a reliable service that ensures your flowers get where they need to go, at the time they need to get there. Every Teleflora order is handcrafted by a local florist and delivered in a vase, meaning they're ready to be enjoyed immediately — you won't have to worry about bulky packing materials. And since Teleflora works with local businesses, you can happily shop knowing you're supporting businesses in your local community. Choose between a wide assortment of bouquets, arrangements, food baskets and more. 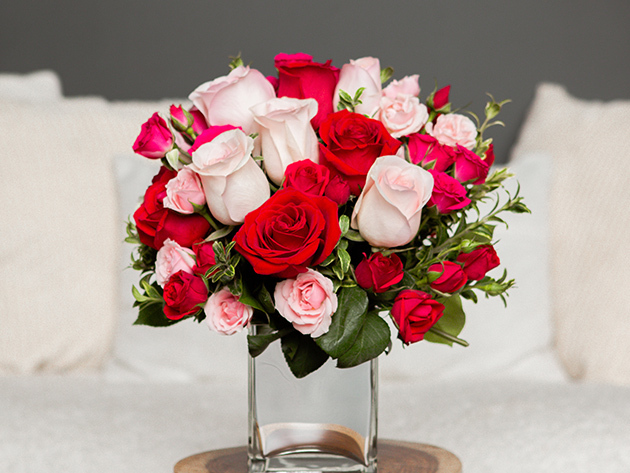 Get this Teleflora Valentine's Day Special for $20 for $40 of credit — plus, use coupon code LOVE15 for an extra 15% off the sale price.